This weekend we’ve been invited The Secret Garden Party, one of the UK’s most famed and loved festivals, that uses its stunning natural surroundings as the backdrop for its gathering. Les Mechants have brought us Luz; a six-metre high, kaleidoscopic pyramid that celebrates light and ‘the impermanence of colour’. 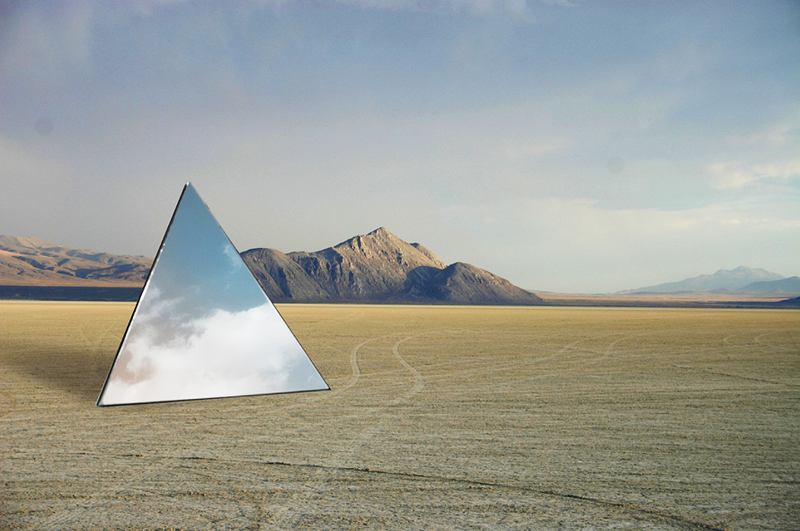 On the outside, this pyramid is mirrored, so that it can embrace the earth’s natural skies and movement of time and allowing the pyramid to blend harmoniously into its surroundings. On the inside it is made up of moving geometric mirrored shapes; the interior reflects itself, and the space is completely interactive, controlled by us, with LED movement and pressure-triggered lights located in the structure’s floor. So add to this it being placed right in the middle of a festival, imagine Luz to be the ultimate, out of world experience. 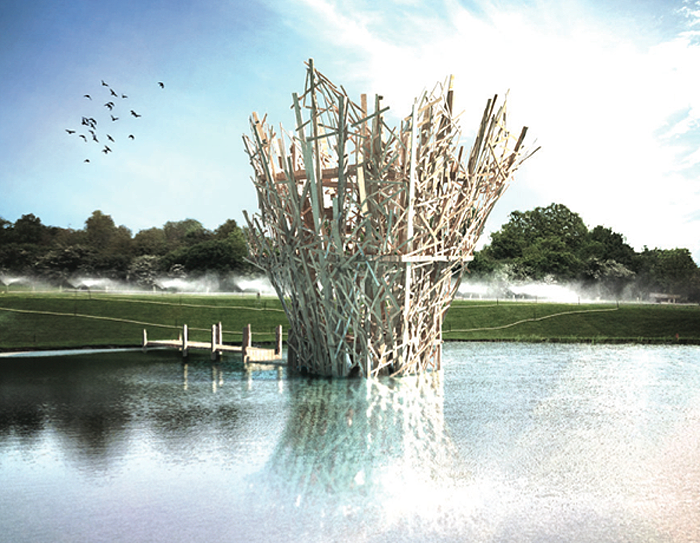 The Temple, by An-Architect, is a uniquely engineered wooden building, held over the lake for users to climb through and use as a viewing platform. The structure is meant to confuse and challenge, allowing the visitor to explore in their own way, and the intricate nature of its design means we will have a different experience each time. At night slices of light will project from the ‘temple’ and onto the surrounding banks and lake. Other installations include ‘Twilight Tweets’ – mechanical owls hiding in the branches of SGP that twitch and flutter in the daytime but at night will open in full bloom, revealing screens that play films of the festival’s daily events. ‘The Street’ is a miniature world of floating houses that will sit invisibly on the lake by day and rise illuminated at night for all to see. This entry was posted in Art, Culture, Events, Festivals, Music. Bookmark the permalink. you recommend any other blogs/websites/forums that go over the same subjects?